Get a free quote instantly for your cab journey to or from U.K. airports. ubiCabs offers cheap, hassle-free taxi transfers to airports when you book online via our website or through our iPhone or Android apps. Don’t forget to enter your flight number when you book, this will allow your minicab driver to keep up to date with any delays/cancellations. If you’re a business customer needing taxis and airport minicabs you’re going to love this feature. 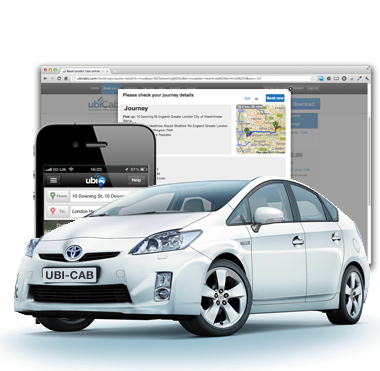 ubiCabs allows you to top-up credit into your ubiCabs minicab taxi account so you’ll never be hunting around for your card again. When you want to book a taxi, just use your app account. Ever wanted a taxi home from the plane and found your wallet somewhat sparsely populated? No more searching for cash points. We accept cash, card and account for minicab payments. ubiCabs’ security is top notch too, we use 128 Bit 3D security for all our transactions. Book your taxi to the airport and pay with confidence however you like.